Our new dust bags can be made in a range of sizes to fit your products complete with your branding colors and logo. 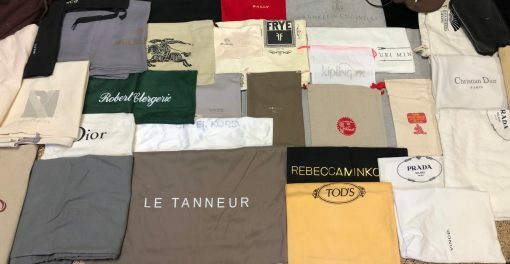 The dust bags are the highest quality currently available. Our soft, protective bags are made from the finest materials available and are the highest quality available in the market. Dust bags provide a great form of protection for products that may easily scratch during storage, packing and shipping. Please Note: No Samples Available. Only available for custom orders. Wide range of sizes available; customized for client needs. Many colors available with custom logo options. If you have any questions about our dust bags or any of our packaging, please don’t hesitate to contact our sales team at sales@abvpkg.com or (800) 457-2247.